1692 David 4 BIGELOW, son of Daniel 3( Joshua2, John1), and Elizabeth (WHITNEY) BIGELOW was born in Worcester, Worcester co, MA 19 September 1730. He married (1) 21 May 1752 Sarah EATON, born ? She died 22 October 1761. He married (2) 08 March 1764 Deborah HEYWOOD , born 11 April 1736 daughter of Phineas Heywood (18 July 1707-30 Mar 1776) and Elizabeth (Moore) Heywood (23 June 1711- 02 June 1797), at Worcester, MA. She outlived him and died 23 May 1823, age 86. David lived in the northeast part of Worcester on the old road to Boylston. He was a carpenter by trade, and when a young man fell from the roof of a barn on which he was working, and broke his leg--the bone protruding from the flesh into the ground. A Dr. Marsh, surgeon from CT, was summoned and performed a surgical operation; with good care David survived and though always crippled, he was able to earn his own living. David was a staunch Whig throughout the Revolution. He performed laborious and important work on the colonial cause in a civil capacity. He was a member of the Committee of Safety of Worcester (a loyalist stronghold); the Committee of Safety were vested with and exercised many of the powers of government during the Revolution. David was a selectman in 1776, 1777, 1779, 1780, 1783, and 1784. He was representative to the General Court in 1777. He was a member of the Convention to ratify the Constitution of the United States, and voted with the minority--against acceptance. His reason was that he disapproved the provision giving slave owners three votes for every five slaves they owned. He was a Deacon of the Unitarian church until his death, which occurred 10 May 1810. Despite his always living in straitened circumstances, due to his handicap, he brought up his large family "under the influences of his example of purity of speech, manners, and life." All his children were born in Worcester. 1790 census: MA-Worcester-Worcester-David Bigelow: 3-0-5-0-0. 16921 David, b 4 Apr 1753; d 20 Dec 1831 Worcester; m 10 Apr 1775 Hannah WILLINGTON; res Worcester. 9 known children. 16922 Sarah, b 15 Aug 1755; d 19 Mar 1838 at _____ ; m 22 Jun 1775 Joshua HARRINGTON; res Pelham, MA. 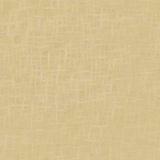 16923 Azubah, b 6 May 1757; d _____ ; m 30 Aug 1781 at Templeton, Barzillai LAMB. 16925 Lydia, b 15 Oct 1761; d young. 16929 Silas, b 5 Dec 1770; d 25 Apr 1837 Templeton, MA; m (1) Arathusa MOORE; (2) 9 Dec 1817 Mrs. Susanna CURTIS; res Worcester. 6 children. 1692A Levi, b 30 May 1773; d 28 Oct 1843 Burlington, VT; m 24 Apr 1803 Chester VT, Nancy GOODHUE; res VT & Que. 6 children..
1692B Walter, b 18 Nov 1775; d 17 May 1857 Worcester; m 18 Nov 1799 Judith TROWBRIDGE; res Worcester. 5 children. 1692C Ty1er, b 13 Aug 1778; d 23 May 1865 Watertown, MA; m 26 Nov 1806 Clarissa BIGELOW; res Leominster & Watertown. 8 children. 51-158. 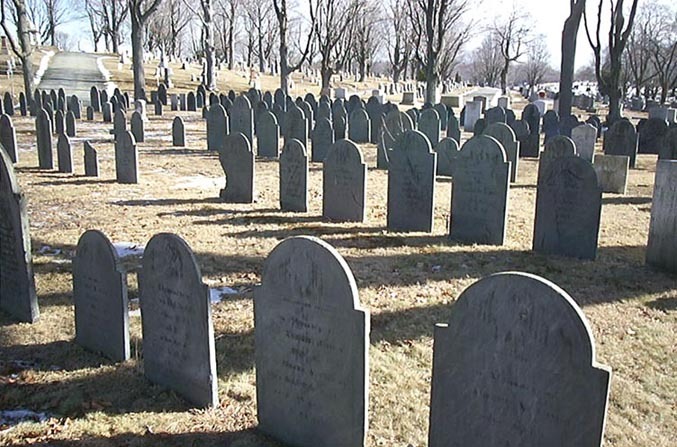 DAVID BIGELOW of Worcester, Mass., the second son of Daniel and Elizabeth (Whitney) Bigelow, was born in Worcester, Sept. 19, 1730, and married, May 21 1752, Sarah Eaton, who died Oct. 22, 1761. 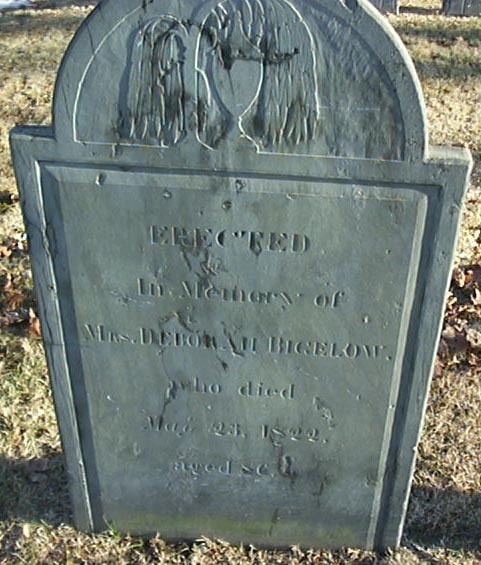 He married second, March 8, 1764, Deborah Heywood, who died his widow, May 23, 1822. They lived in the northeast part of the town on the old road to Boylston. He was a carpenter by trade, and when a young man he fell from the roof of a barn on which he was at work and broke his ankle in a shocking manner, the bone protruding through the flesh into the ground, and so serious was the injury, a Dr. Marsh (who was an eminent surgeon living in Connecticut) was hastily summoned, and performed a skilful surgical operation, and with good care he recovered, though a cripple the remainder of his life. He was a very decided and influential whig through­out the Revolution, and though disabled for military service, he performed much laborious and important work in a civil capacity. During that eventful period he was a very prominent member of the Committee of Safety of the town of Worcester, which was a centre of the royal influences of the county in the persons of the office holders, and, as is well known, the Committee of Safety were vested with and exercised many of the powers of govern­ment respecting personal liberty and conduct, and at times their labors and duties became highly critical, laborious and responsi­ble. He was elected one of the Selectmen in 1776, 1777, 1779, 1780, 1788, 1784, and representative to the General Court in 1777, and also a member of the Convention to ratify the Constitution of the United States, and while there he voted with the large minority on the final question of acceptance. Although his vote did not satisfy all his friends at that time, they in after life (when they learned that his main reason for so doing was because of the provision giving the owner of slaves three votes for every five slaves owned by him), came to honor him for so doing. He was deacon of the First Unitarian Church from the settlement of Dr. Bancroft, until his death, May 10, 1810. Though always in straitened circumstances he brought up a large family of children under the influences of his own example of great purity of speech, manners and life, and it can be truly said that he lived the life of a patriot and a Christian. 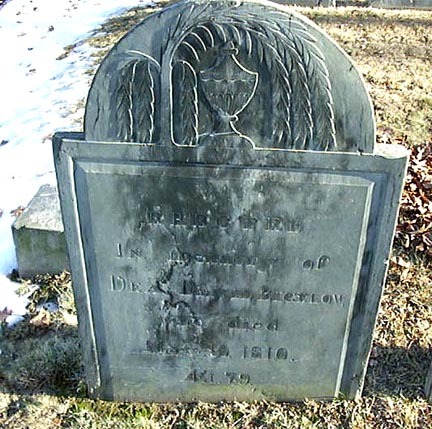 506 tDavid, b. April 4, 1753; m. Hannah Wellington. 507. Sarah, b. Aug. 16, 1766; m. June 23, 1776, Joshua Harrington; res. Worcester. 508. Elizabeth, b. March 7, 1769; m. Nov. 20, 1777, John Hair. 509. Lydia, b. Oct. 16, 1781; d. young. 19th Century from the Mechanic St. Burial Ground in downtown Worcester, MA. with son, Samuel Hair. I love the work the Bigelow family has put into their genealogy and web sites. 1692 David 4 BIGELOW, son of Daniel 3 ( Joshua2, John1) was born May 21, 1730 in Worcester, Worcester County, Massachusetts, and died May 10, 1810 in Worcester, Worcester County, Massachusetts. He married (1) DEBORAH HEYWOOD, daughter of PHINEHAS HEYWOOD and ELIZABETH MOORE. She was born April 11, 1736, and died March 23, 1822 in Worcester, Worcester County, Massachusetts. He married (2) DEBORAH HEYWOOD March 08, 1764.
ii. Lucretia BIGELOW, b. March 26, 1767, Worcester, Massachusetts. 3. iii. Dorothy 5 BIGELOW, b. September 13, 1769, Worcester, Worcester County, Massachusetts. 16927 Lucretia 5 BIGELOW, dau of David 4 BIGELOW ( Daniel 3 , Joshua2, John1) was born March 26, 1767 in Worcester, Massachusetts. She married WILLIAM GOULDING. 4. i. Lydia 6 GOULDING. 3. Dorothy 5 BIGELOW, dau of David 4 ( Daniel 3 , Joshua2, John1) was born September 13, 1769 in Worcester, Worcester County, Massachusetts. She married JOSEPH CHADWICK March 22, 1792 in Worcester, Worcester County, Massachusetts. October 19, 1792 in Boylston, Worcester County, Massachusetts. 4. Lydia 6 GOULDING, dau of Lucretia 5 BIGELOW, David 4 ( Daniel 3 , Joshua2, John1) She married JAMES BAKER October 29, 1814, son of CHARLES BAKER and ANNA JACKSON. He was born Abt. 1786.
i. Lydia Bigelow 7 BAKER, b. March 15, 1819, Phillipston, Worcester County, Massachusetts; d. August 27, 1903, Worcester, Worcester County, Massachusetts; m. (1) ALVIN WAITE, February 08, 1842, Hubbardston, Worcester County, Massachusetts; b. Abt. 1803, Phillipston, Worcester County, Massachusetts; d. December 25, 1859, Worcester, Worcester County, Massachusetts; m. (2) GEORGE WASHINGTON RUSSELL, June 20, 1865, Worcester, Worcester County, Massachusetts; b. August 09, 1809, Carlisle, Middlesex County, Massachusetts; d. January 21, 1893, Worcester, Worcester Co., Massachusetts. 6. ii. CHARLES BAKER, b. April 04, 1828, Phillipston, Worcester County, Massachusetts. 7. iii. HARRIET GOULDING BAKER, b. July 22, 1834, Phillipston, Massachusetts. 5. Lydia 6 CHADWICK, dau of Dorothy 5 BIGELOW ( David 4 , Daniel 3 , Joshua2, John1) was born September 26, 1795 in Worcester, Worcester County, Massachusetts. She married ESQ. MARCUS CHILD October 11, 1819 in Worcester, Worcester County, Massachusetts, son of ZACHARIAH CHILD and LYDIA BIGELOW. He was born October 19, 1792 in Boylston, Worcester County, Massachusetts. 8. i. ELIZABETH HOWARD 7 CHILD, d. June 26, 1858, Coaticook, Barnsford Twp., Quebec, Canada. 6. Charles 7 BAKER, son of (Lydia 6 GOULDING, Lucretia 5 BIGELOW, David 4 , Daniel 3 , Joshua2, John1) was born April 04, 1828 in Phillipston, Worcester County, Massachusetts. He married ELEUTHERIA MANLEY, daughter of LILLEY MANLEY and SUSANNA HORR. She was born Abt. 1835 in Massachusetts. i. CHARLES 8 BAKER, b. Abt. 1873, Worcester, Worcester County, Massachusetts. 7. Harriet Goulding 7 BAKER (Lydia 6 GOULDING, Lucretia 5 BIGELOW, David 4 , Daniel 3 , Joshua2, John1) was born July 22, 1834 in Phillipston, Massachusetts. She married CLARENDON WAITE June 16, 1860. He was born December 12, 1830 in Hubbardston, Worcester County, Massachusetts. i. ANNIE M. WAITE, b. Abt. 1863.
ii. FLORENCE WAITE, b. Abt. 1866; m. SMITH. 8. Elizabeth Howard 7 CHILD (Lydia 6 CHADWICK, Dorothy 5 BIGELOW, David 4 , Daniel 3 , Joshua2, John1) died June 26, 1858 in Coaticook, Barnsford Twp., Quebec, Canada. She married ESQ. LEWIS L. SLEEPER August 04, 1847 in Coaticook, Barnsford Twp., Quebec, Canada, son of HEZEKIAH SLEEPER and HANNAH BATCHELDER. He was born October 31, 1807 in Coaticook, Barnsford Twp., Quebec, Canada, and died August 23, 1885 in Coaticook, Barnsford Twp., Quebec, Canada. 9. i. CATHERINE ELIZABETH9 SLEEPER, b. August 20, 1848, Stanstead County, Quebec, Canada; d. February 13, 1913, Coaticook, Stanstead County, Quebec, Canada. ii. GEORGE HENRY SLEEPER, b. August 07, 1849, Coaticook, Barnsford Twp., Quebec, Canada; d. March 07, 1871, Coaticook, Stanstead County, Quebec, Canada. 9. CATHERINE ELIZABETH 8 SLEEPER (ELIZABETH HOWARD 7 CHILD, Lydia 6 CHADWICK, Dorothy 5 BIGELOW, David 4 , Daniel 3 , Joshua2, John1) was born August 20, 1848 in Stanstead County, Quebec, Canada, and died February 13, 1913 in Coaticook, Stanstead County, Quebec, Canada. She married GEORGE OREL DOAK September 17, 1873 in Coaticook, Stanstead County, Quebec, Canada. He was born August 01, 1840 in Canada, and died March 26, 1890.
i. ALGERON EARNEST DOAK, b. January 04, 1876.
ii. GEORGE LEWIS DOAK, b. April 26, 1882.
iii. EUPHAN ELIZABETH DOAK, b. October 28, 1878.
iv. JAMES HENRY DOAK, b. June 17, 1874, Coaticook, Stanstead County, Quebec, Canada; m. GRACE BEATRICE BOYLE. v. KATHERINE MAY DOAK, b. August 23, 1887. Just discovered the wife of 2 great grandfather, LYDIA BAKER WAITE, is LYDIA BIGELOW BAKER. Her maternal grandmother was LUCRETIA BIGELOW who married WILLIAM GOULDING. on the internet leading me to her BIGELOW ancestry. Lydia B. RUSSELL died Aug. 27, 1903, at age 84 years, 5 months, 12 days. RUSSELL - In this city, Aug. 27, Lydia Bigelow, widow of George W. Russell, aged 84 years, 5 months, 12 days. 1850 census plus they were in Worcester. From there on I used the Marriage disk for a location and then to the pvr's for the details. BAKER, James and Lydia Goulding of Hubbardston int Oct 29, 1814.
this is ALVIN but his wife is Mary N.
buried in RURAL CEMETERY, WORCESTER, MA. 3. CHARLES 7 BAKER, was born April 04, 1828 in Phillipston, Worcester County, Massachusetts. He married ELEUTHERIA MANLEY, daughter of LILLEY MANLEY and SUSANNA HORR. She was born February 13, 1835 in Hardwick, Worcester County, Massachusetts. i. GRACE 8 BAKER, b. May 31, 1867, Worcester, Worcester County, Massachusetts. ii. CAROLINE BAKER, b. October 1869.
iii. CHARLES BAKER, b. August 08, 1872, Worcester, Worcester County, Massachusetts. iv. ELIZABETH BAKER, b. September 1874.
v. WILLIAM JAMES BAKER, b. March 03, 1878, Worcester, Worcester County, Massachusetts; d. December 14, 1895, Worcester, Worcester County, Massachusetts. 4. HARRIET GOULDING 7 BAKER was born July 22, 1834 in Phillipston, Worcester County, Massachusetts. She married CLARENDON WAITE June 16, 1858, son of ALVIN WAITE and MARY PARKER. He was born December 12, 1830 in Hubbardston, Worcester County, Massachusetts, and died December 16, 1867 in Beloit, Wisconsin. i. ANNA "ANNIE" MARY 8 WAITE, b. August 18, 1862, Rutland, Worcester County, Massachusetts. 5. ii. FLORENCE SHERMAN WAITE, b. August 17, 1865, Rutland, Worcester County, Massachusetts. 5. FLORENCE SHERMAN 8 WAITE was born August 17, 1865 in Rutland, Worcester County, Massachusetts. She married GEORGE ARTHUR SMITH June 05, 1890, son of GEORGE SMITH and SARAH. He was born December 1854 in Worcester, Worcester County, Massachusetts. i. PAUL SHERMAN 9 SMITH, b. May 16, 1891, Worcester, Worcester County, Massachusetts; d. January 18, 1974, Holden, Worcester County, Massachusetts. ii. CLARENDON WAITE SMITH, b. May 16, 1893, Worcester, Worcester County, Massachusetts; m. MARGARET; b. Abt. 1894, Massachusetts. iii. MARY A. SMITH, b. April 1895, Massachusetts. iv. GEORGE ARTHUR SMITH, JR., b. October 08, 1896, Worcester, Worcester County, Massachusetts. v. SIDNEY ALEXANDER SMITH, b. November 22, 1898, Worcester, Worcester County, Massachusetts; d. December 1960.
vi. DAVID HARTHAN SMITH, b. May 18, 1900, Worcester, Worcester County, Massachusetts. vii. ROBERT I. SMITH, b. November 26, 1902, Worcester, Worcester County, Massachusetts. viii. RICHARD P. SMITH, b. January 21, 1904, Worcester, Worcester County, Massachusetts. Parents: GEORGE E & SARAH J? Source: Worcester Directory 1918 Worcester Directory 1918. Worcester MA: Drew, Allis & Co., 1918. I am currently updating my website with this new research and you should be able to access it by tomorrow. I found some WW1 Draft Registrations on some of the sons of FLORENCE & GEORGE which helped with birth information. Those record will be on my website.